We have one small metal bucket. 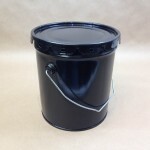 It is our 2 gallon black steel pail or bucket. 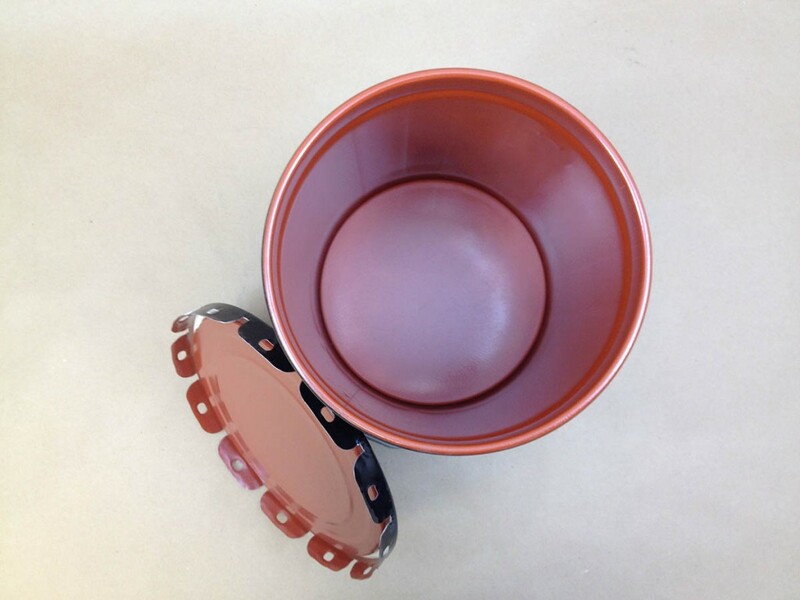 This is an open head bucket with a red phenolic lining. 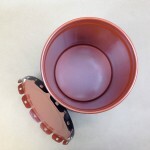 The lug cover to this bucket is sold separately (and listed below). This is the smallest metal pail we carry. 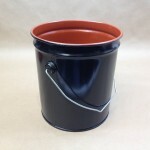 The rest of the open head steel pails we currently stock are from 3.5 gallon to 6.5 gallon sizes. 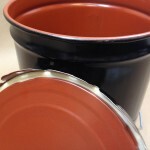 You can find a complete list of all our steel pails, both open head and closed head, on this page. 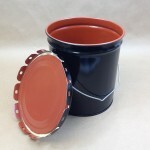 Typical products that do well in red phenolic lined steel pails are driveway sealers, chemicals, lubricants, viscous products, coatings, solvents, adhesives. We strongly suggest you get a sample of this pail for testing with your product as product compatibility with the container is the responsibility of the shipper. The above product list is suggested as a sample of typical products, however, testing with your product is the only way to be sure of compatibility. 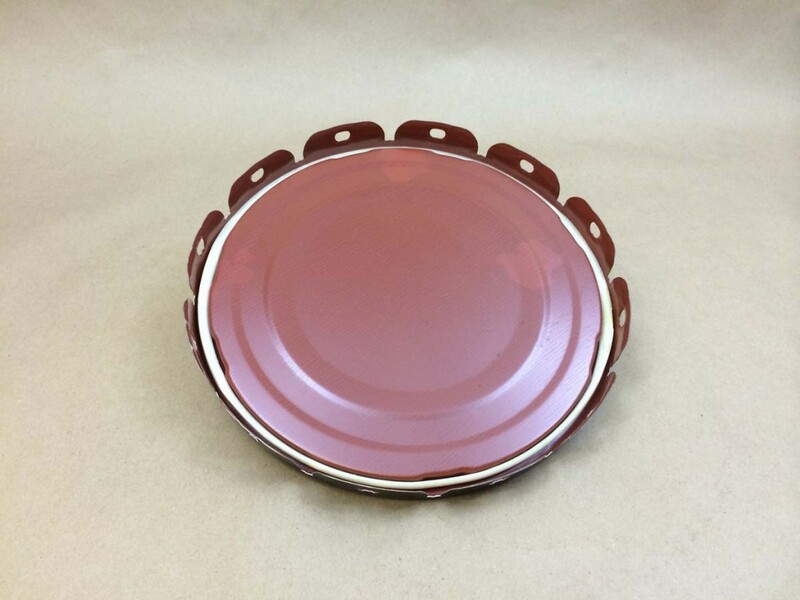 We have a page that explains baked on steel pail linings in a little more detail. That page can be found here.